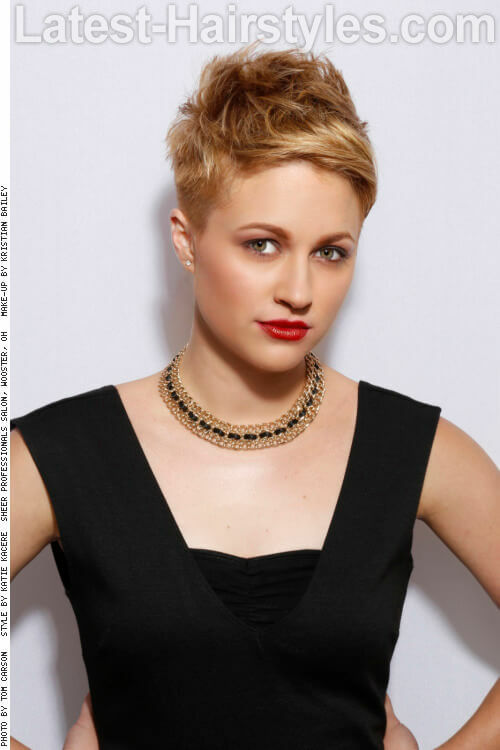 This winter, we are seeing a great mix of both natural and unnatural hair color themes. There are beautiful brunettes, brilliant blondes, and even bold blues. 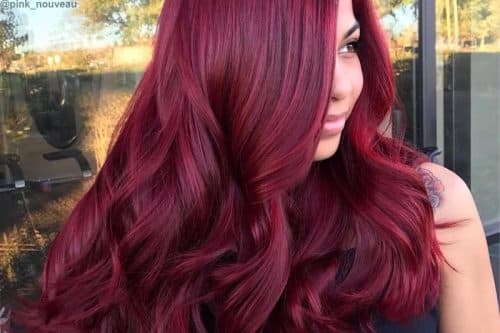 It is going to be a great season to add more dimension to your already existing red hair, or maybe taking the plunge for something dark and dramatic. 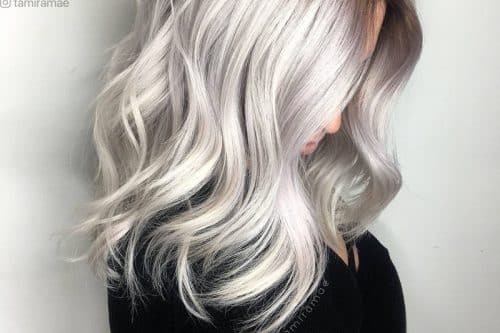 No matter what your hair hue preference is, it’s time to get inspired by these gorgeous winter hair colors. 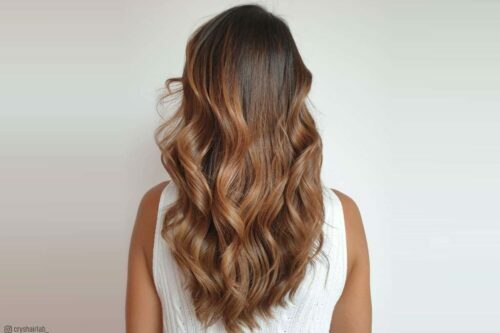 This warm brunette base boasts honey and caramel painted highlights. 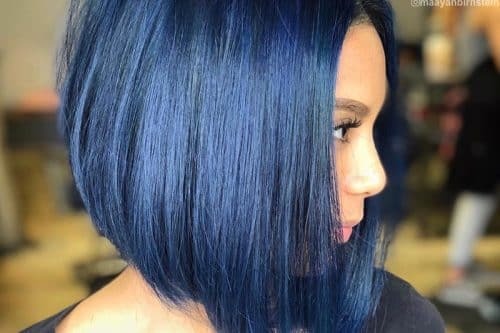 This color combo it great for cool toned skin! Any hair type will be flattered by the placement of these highlights. Remember that if you change your hair color this winter season, you’ll likely need to tweak your makeup a bit as well. These dimensional red hues varying from burgundy to intense reds are HOT this season. Cooler toned skin types work best with this mix of red. 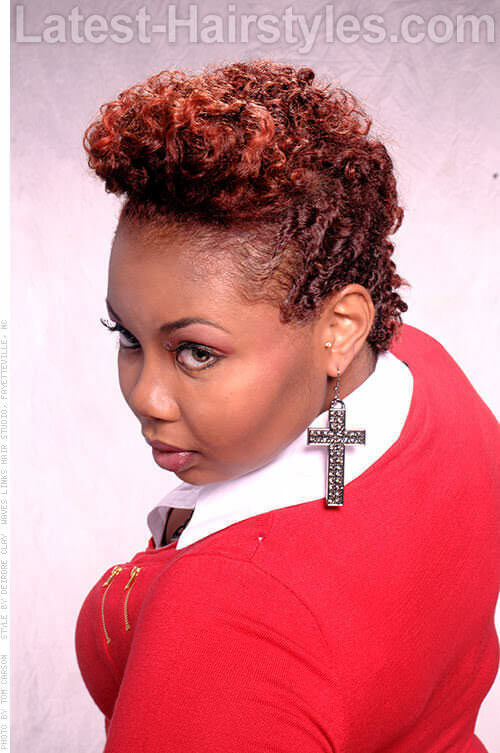 Curly or wavy hair textures will look awesome with the different tones of red. 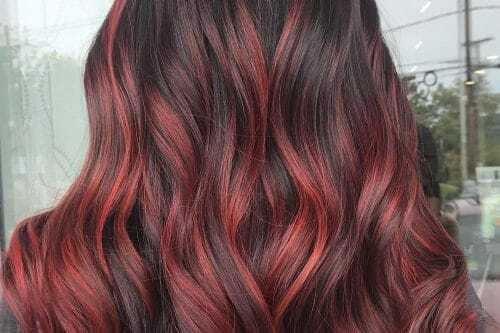 Don’t be afraid to try something exciting here like a fire engine red for the ends! Channel your inner ice queen with these icy shades of blonde on shorter hair, most likely achieved via a double process. Most skin types are flattered by the opalescent tones of this look. Naturally lighter hair types will lift the best and most evenly. Healthy hair is a MUST when it comes to an intense color process like this one. 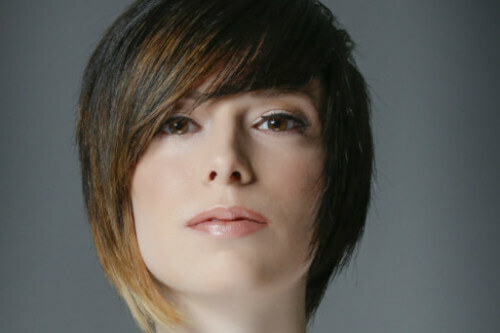 Be sure to discuss your hair’s health with your trusted colorist before taking the plunge. Cozy up to this honey-colored base with alternating warm and cool toned, softly placed highlights. Warmer skin tones will be flattered by the gentle mix of cool tones with this color. 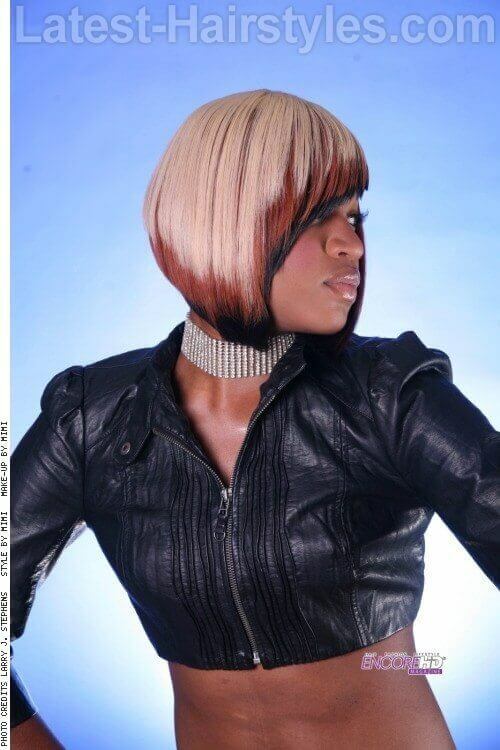 All hair types can have beautiful results from this color as well. If you are a brunette, don’t feel like you have to go darker for winter. Lighter colors with a warm feel could be just what you need during the chilly months! Color paneling with bold and different color schemes isn’t for the faint of heart. Keep large color sections separated to create a extra loud look. Depending on what color scheme, each skin tone can benefit from a palette customized for them. All hair types can be suited for this color as it is versatile in how it can be worn — extremely clean and precise, or wild and without care. 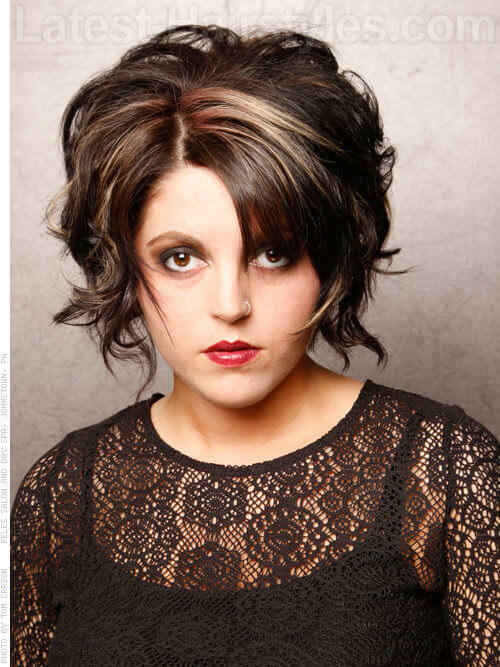 A precise color job like this one is definitely one you want done by a professional. Do NOT try this at home! A full head of beautifully hand painted highlights is a great way to delicately blend warm and cool tones of blonde. 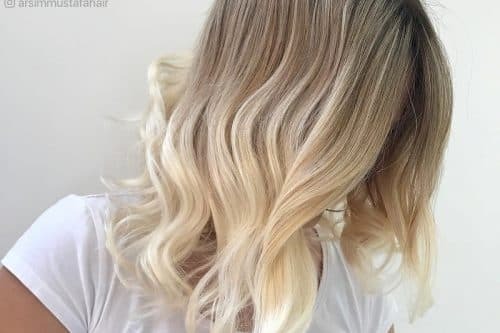 Naturally lightly colored hair types will work best when trying to achieve these lighter levels of blonde. Both warm and cool skin tones can benefit greatly. 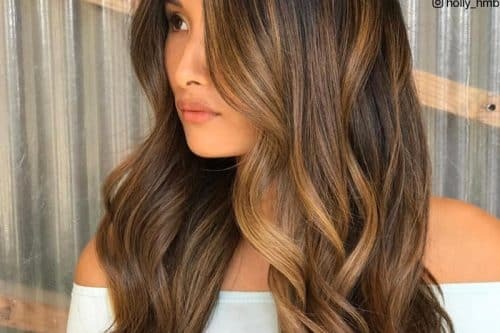 Search for a balayage expert in your area! Lots of colorists go to specific training to master the art of “painting” the hair. 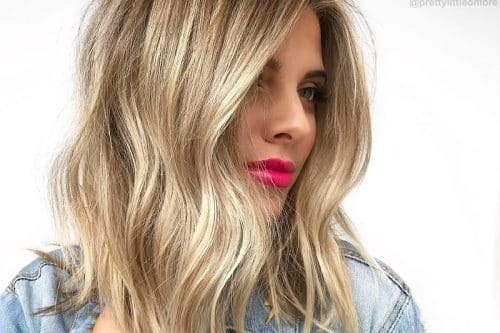 A deeper base (perhaps natural regrowth) paired with an amazing caramel blonde through the remainder of the hair creates a wildly warm look for winter. 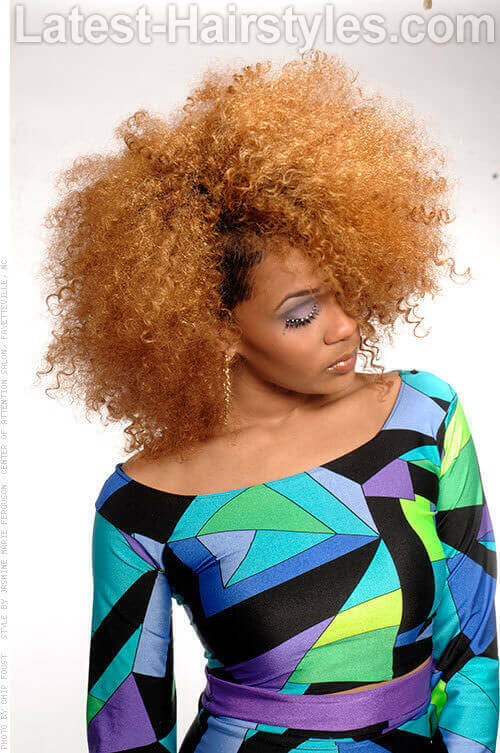 Wavy and curly hair types and textures will look killer with this color scheme and pairing. Warmer skin tones will look amazing with the softened caramel colors as well. Don’t forget that as you change your hair color with the seasons, you will likely need to alter your makeup palette as well. Balayage blonde meets the “grow out” of the ombre. 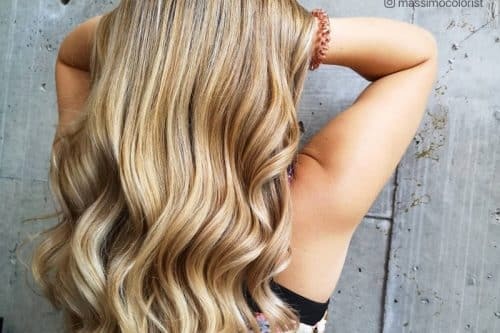 This deep brunette paired with a soft and warm hand-painted blonde is simple yet stunning. Warmer skin tones will pair the best with these deep colors. All hair types can look great with this scheme! This is an incredible way to soften and old “ombre” color. Simply add a few painted highlights to add brightness and more dimension where it is needed. Heavy yet softly placed cool toned highlights add dimension and lightness to a naturally blonde base. Natural blondes will look smashing with this color. Both warm and cool skin tones can be accommodated. Enhance your blonde with a blue or purple-based shampoo and conditioner. Add a pop of bright color at the crown and around the face to create a bold and dimensional look on a naturally deepened base color. I love pairing dark base colors with blue! The cool tones in the blue radiate extra brightly. Cooler skin tones are my favorite for this color scheme. If you aren’t ready for a full commitment in the bright pop of color department, try clip-in extensions instead. A vivacious warm red paired with a soft underlying layer of warm brunette creates contrast and a stunning finish to this color scheme. Fairer skin tones will work well with the warmth of both the red and brunette. All hair types can be paired with this color! Red hair color can require a bit more maintenance than other colors. Be sure to discuss your expectations with your colorist. I love a drastic differentiation in color! In this particular case, the deepest level 2 or 3 versus the lightest and coolest level 11 blonde really comes off looking edgy yet chic. 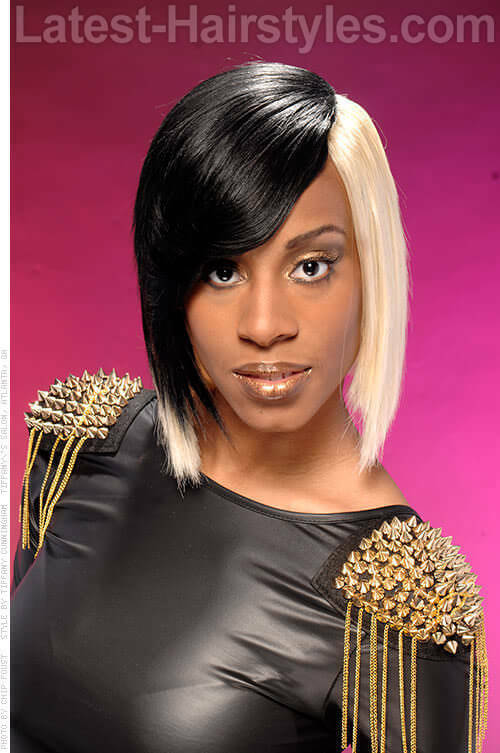 A healthy head of hair will lighten the best for the white blonde of this color scheme. All skin tones can be matched well, depending on the theme of colors selected for this two-tonal goal. 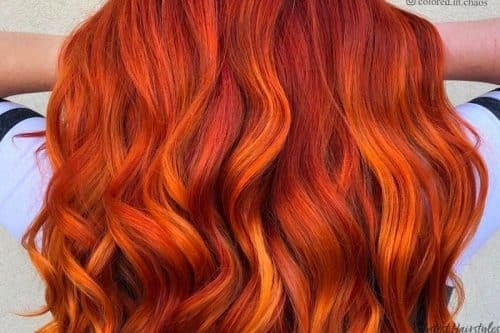 Healthy hair is a must for intense color processes like this one. 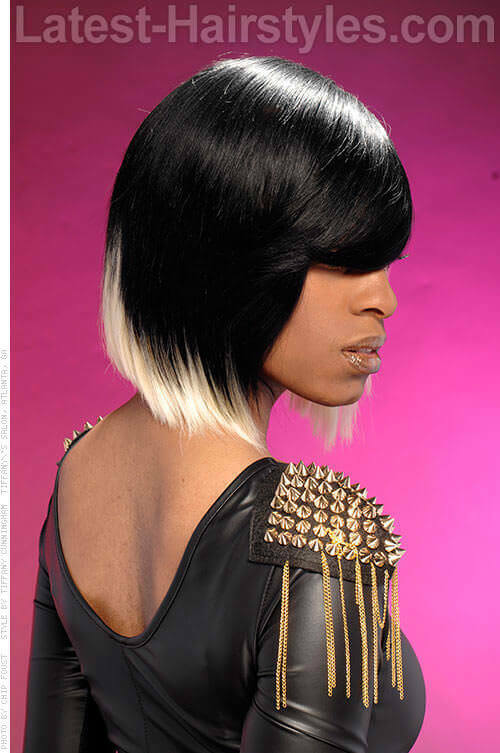 Be sure to discuss your hair’s health with your stylist before taking the color plunge. A few selected pieces of curls can be lightened to add more fun and depth to a naturally dark base. Whatever tone you decide to lighten the blonde to can be suited differently to each skin tone. I personally believe that naturally textured curly hair looks amazing with this color. 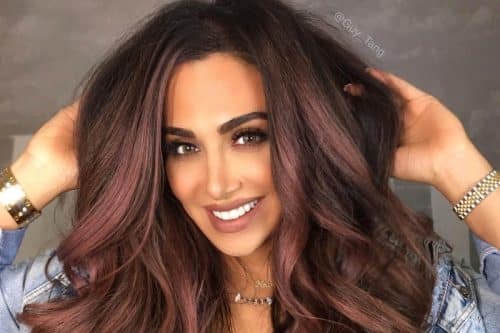 If you aren’t ready to fully commit to a color job like this one, give it a test run with clip-in colored extensions to see if you like it first. 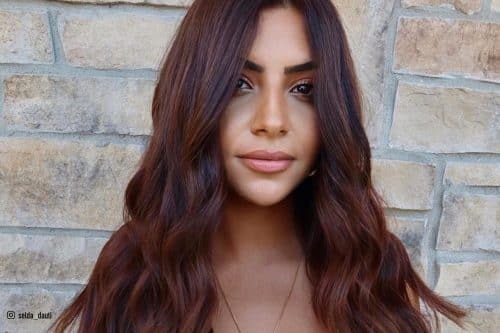 Medium brunette virgin hair with pre-lightened sections are colored with an eye-popping, unnatural orange to create a wild look that’s not for the faint of heart. 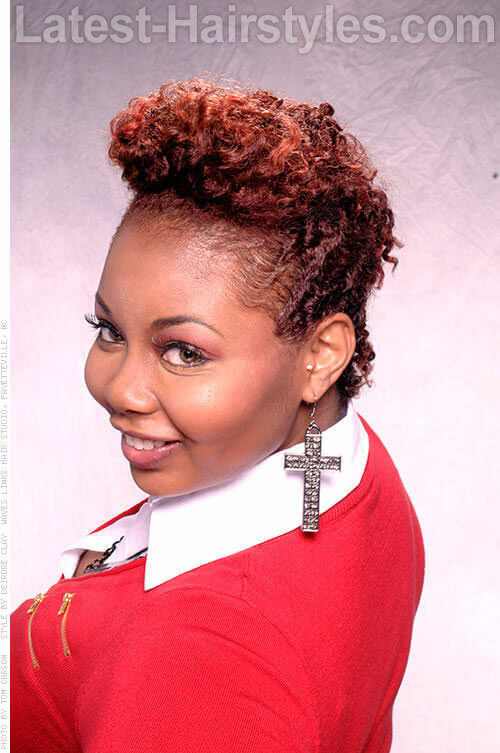 This is a great way to add some vibrant color to a virgin head of hair. Warmer skin tones will look great with the orange. In my opinion, a wilder wavy or curly textured head of hair will look the best with this. Don’t hesitate to try different shades of orange whether it be more neon, or darker and richer. Take your blonde to a warmer strawberry blonde this winter season with a few face framing highlighted pieces to really make the color pop. Cooler skin tones will look wonderful with this color. Blue and green eyes will definitely pop! All hair types are suitable for this look. 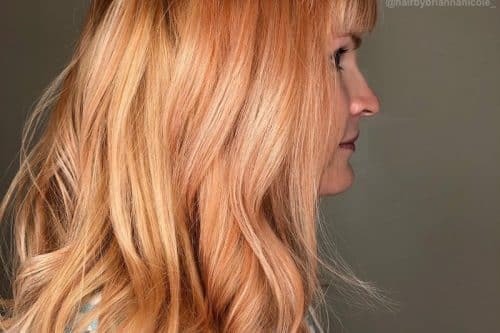 Adding a strawberry hue is a great way to warm up blondes for winter! The deep brunette base flaunts a section of perfectly placed silver color. This is a great look for both warm and cool skin tones. 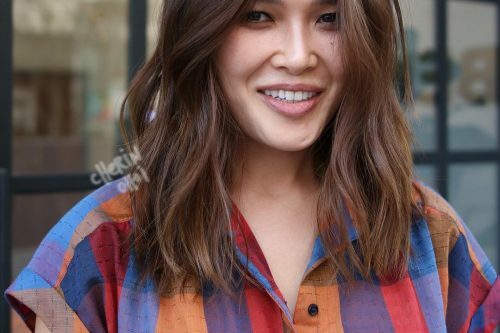 Shorter hair types will love the subtlety of this color. 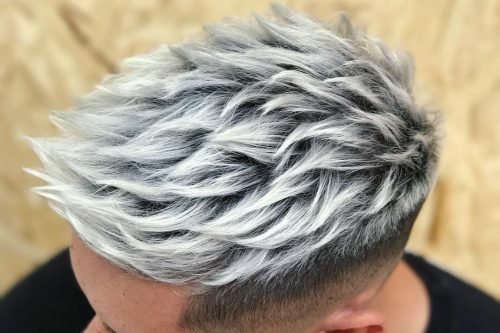 If you are trying to grow out a small section of gray, have your stylist choose which part you would like to keep and use this highlight placement as a guide! This cool blonde base color gets a serious kick with pastel green and blue placed along the crown and sides. Cooler skin tones will work the best with these turquoise colors. Naturally lighter blondes will always lighten more evenly to obtain the iciness of this base color. You don’t have to stick with only blues and greens. Experiment with purples and pinks as your pastel partners for this look! I adore this beautifully rich deep base with several hidden, warmly painted highlights. Fairer skin tones will look gorgeous with this deep base color. All hair types can be paired well with this look. If you have lighter hair and are taking it this dark for winter, be sure to discuss your later plans (i.e. if you want to go lighter again for spring or summer) with your colorist. He/she will want to know your expectations and will inform you of what it will take to get your hair there. This all over copper, red blonde tone is a perfectly cozy hue for the winter season. Fairer and cooler skin tones will pair wonderfully with this color. All hair types work well! Remember to change your makeup with your hair color from season to season to help your overall look appear its best. This deep brunette with golden overtones is positively scrumptious. Warmer skin tones with olive or yellow undertones will be complimented beautifully by this hair hue. All hair types work well for this color. If you have naturally curly hair AND color treated hair, remember to MOISTURIZE this winter! Mixing cool and warm tones will be a reoccurring theme throughout this season. 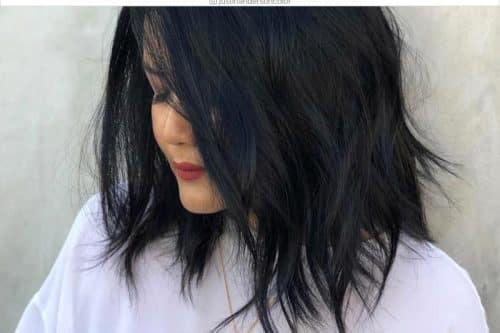 There is becoming less of a line between what can and cannot be paired together, making your options for winter hair colors literally endless. Romantic and inventive color palates come together this season to help you create a look all your own!